There’s a kinship that exists when people reach across time and connect with each other. When it’s two artists, and the span is not only seven decades but three thousand miles, the bond is extra special. This is what happened with me and the 1940’s Hollywood singer Bob Graham in 2013. Bob Graham was a popular singer on the radio, TV and movies in the 1940’s and ’50’s. His last picture was opposite Mitzi Gaynor in the I Don’t Care Girl in 1952, the year he retired from show business. Bob sang with Henry Mancini, Carmen Dragon, Fanny Brice, and many others. My connection to Bob came through an astounding circumstance. I heard a recording of his live singing on the radio, from January 1945. This was the night that he was informed by Linda Darnell that the editors of 300 college newspapers voted him the outstanding singing discovery of 1944. 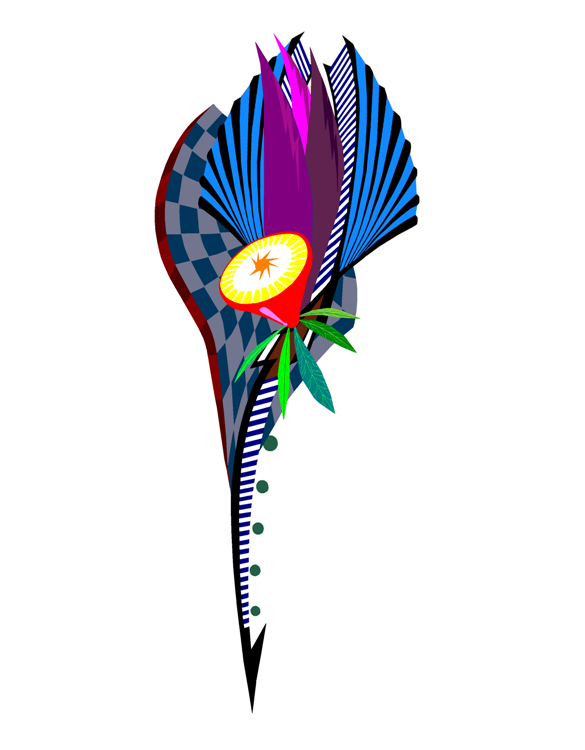 When I heard his two-minute song, I was moved to draw an abstract flower illustration to honor the singers on live old radio. That drawing appears in this post. In May 2013 I received an unsolicited email from Bob (I hadn’t a clue he was still around!). He had done an internet search on his name and came across my drawing and essay. He loved the artwork and my tribute. He was 88 years old, and sharp as a tack. He agreed to be interviewed and in the course of three enjoyable months, and after many phone conversations, emails and snail mails, I wrote and published the story of how two artists came together. His 1945 singing inspired my 21st Century pen. He not only reached across 68 years, but coast to coast as well. The story reveals much of Hollywood’s Golden Age, gleaned from a man who lived and worked it. The 3,800-word story “The Singer on Live Old Radio” appears in my first book. 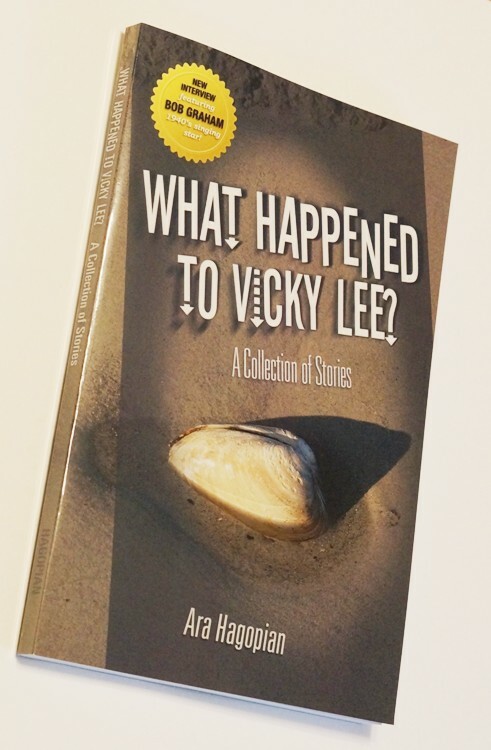 It’s titled WHAT HAPPENED TO VICKY LEE? A COLLECTION OF STORIES and has twenty-five of my original stories, including the piece I wrote on Mr. Graham. Bob has contributed several photos from his personal collection for inclusion in the book. In these photos we see him with Linda Darnell, Fanny Brice, and Carmen Dragon, all superstars in their day. The Singers on Live Old Radio drawing, inspired by a 1945 Bob Graham song. Twenty-five-fiction and non-fiction stories, 180 pages. This entry was posted in Artwork, Fiction, non-fiction, Photography and tagged Bob Graham, old time radio. Bookmark the permalink. Hey I got this on my Linkedin feed. Cool! Hi Bob, glad you found it!